Featuring the Isaura String Quartet! The Isaura String Quartet promotes traditional and contemporary chamber music through live performance, workshops, and collaborative projects with composers and interdisciplinary artists. The Los Angeles-based ensemble has worked closely with composers including Anne LeBaron, Gloria Coates, Mark Menzies, Cassia Streb, Daniel Corral, Sean Griffin, and Charles Gaines. Recent performances include the world premiere of Gloria Coates’ chamber opera Stolen Identity, the west coast premiere of Coates’ String Quartet No. 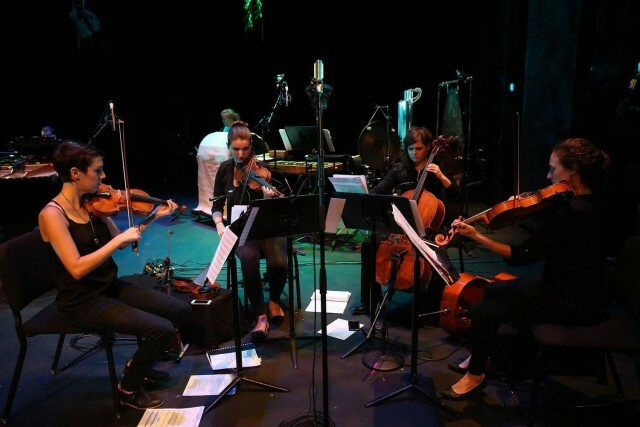 9, a recording for the 2015 Venice Biennale of new music by Charles Gaines/Sean Griffin, and scenes from Anne LeBaron’s new opera LSD: The Opera with Grammy Award-winning ensemble Partch at REDCAT and at The Schindler House in collaboration with Opera Povera. In July and August ISQ presented sa·lon, a series in collaboration with Space Art Center, featuring four programs with special guests and new works by Los Angeles composers. 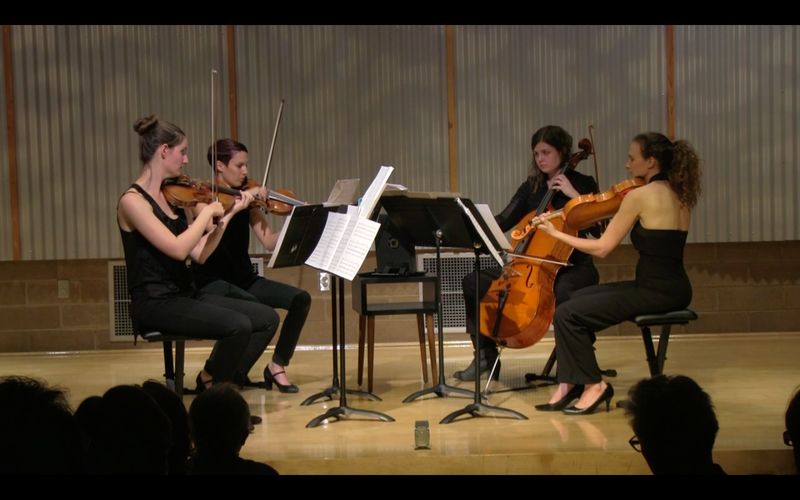 Members of the Isaura String Quartet are Madeline Falcone and Emily Call, violins, Melinda Rice, viola, and Betsy Rettig, cello.